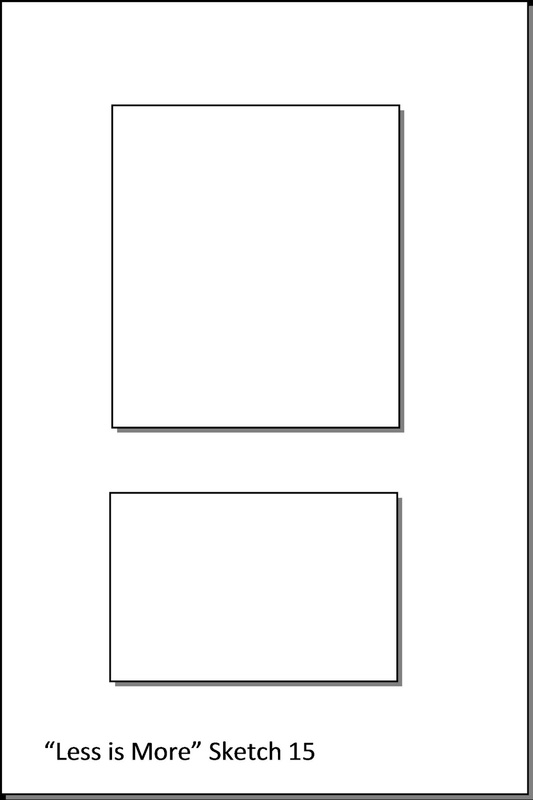 This card is a result of three blog challenges: The sketch file: "three little things sketch", Cardz for Guys something beginning with a B challenge, and City Crafter Challenge # 268 "let's go Nautical". 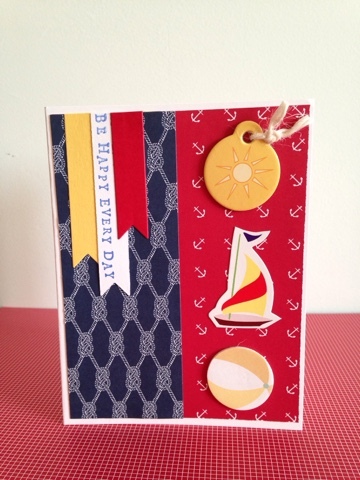 I flipped the sketch and added three nautical elements: a Boat, a Ball, and the sun chipboard tag, I added the sentiment "Be happy everyday" to a diecut piece by papertrey Ink. 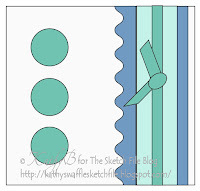 The background paper is one of my favorite DSP collections by Stampin Up called "Maritime". Here is my "Enjoy" inchie for the every inchie monday's blog challenge, I used 2 layers of paper and ink. 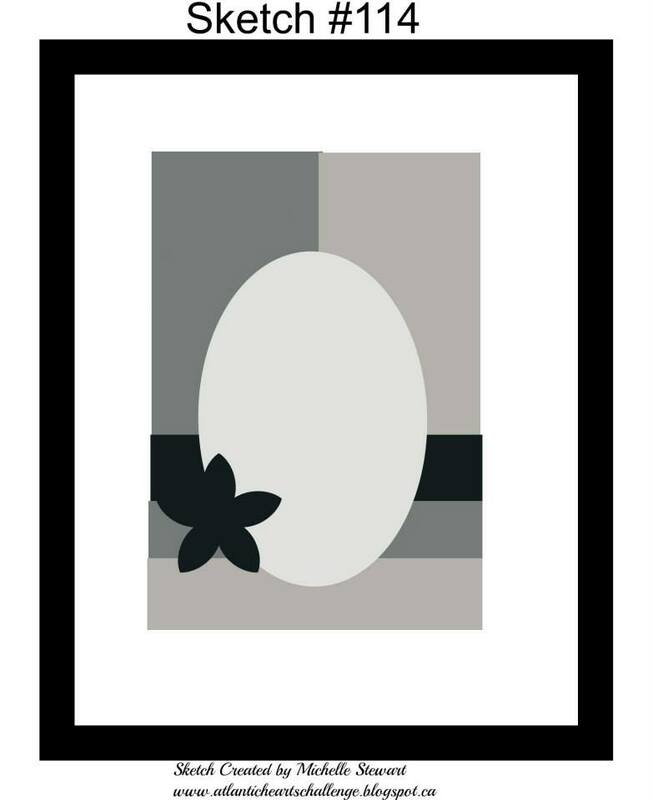 I paper punched the corner and added a flower. 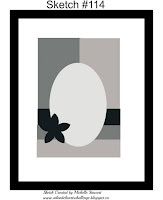 The butterfly was a earring stud that lost it's partner in life and became an embellishment. 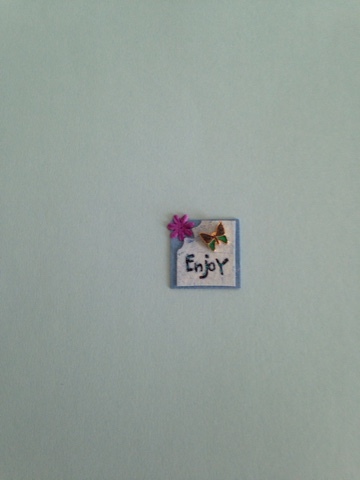 I will have to work on how to photograph inchies because it looks cuter in real life ;/ ~ Enjoy! 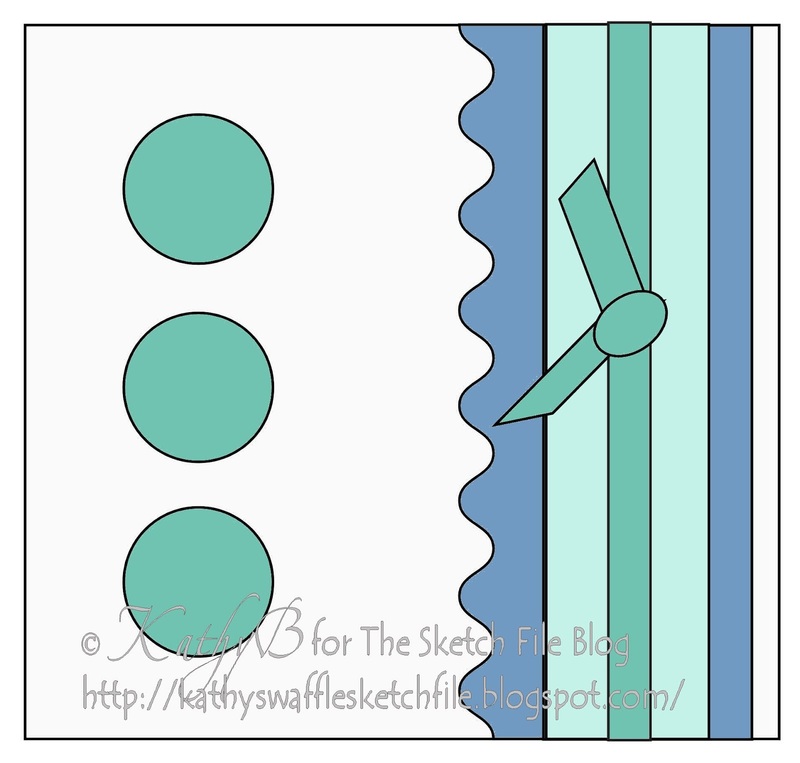 This card was inspired by the SOS#208 challenge and the sketch #114 at Atlantic Hearts. The goal at shopping your stash was to find a bauble, button or bow to add to your card (which just so happens to be what I hoard!). I found this beautiful butterfly bauble on a discarded stationary box at the thrift store and knew I had to embellish a card with it. I have mini drawers of buttons, and searched with great delight to find matching metal and blue buttons. 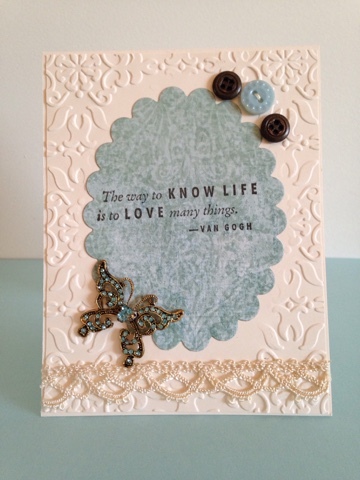 Ribbon and lace are another favorite of mine, so on goes a scrap across the bottom of the card, and a quote "The way to know life is to love many things" ~ Very true. Inspired by Mojo Monday's sketch#404. 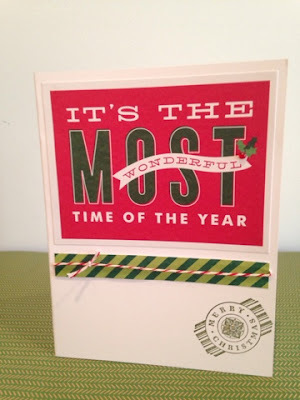 The colors and patterns of the paper made me happy, so I thought the sentiment by Stampin' up was a good match. 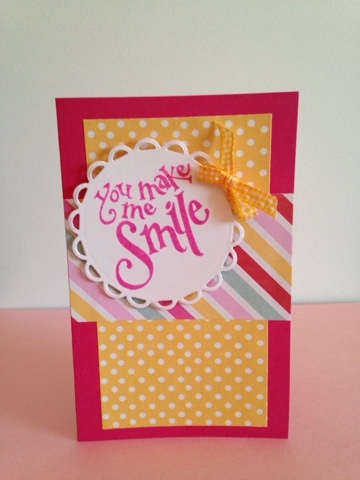 I'm also including this card in Crafty Cardmakers Challenge #141 where the Sentiment is to be the focal point of the card this week. 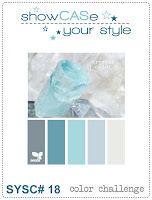 I used another project life card "Winter Wonderland" in the color theme of this weeks showcase challenge. 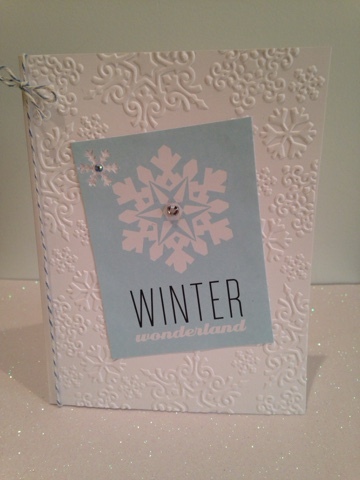 I added bakers twine and bling with a snowflake embossed background on white card stock. I used a project life card "It's the most wonderful time of the year" and added a green strip with red and white bakers twine along with a red rhinestone for the holly berry and a clear for the inside medallion on the Stampin' Up image that reads "Merry Christmas". Here is my entry for Sparkle Creations "anything goes" Christmas card challenge #30. I finally used some washi tape from the dollar store! 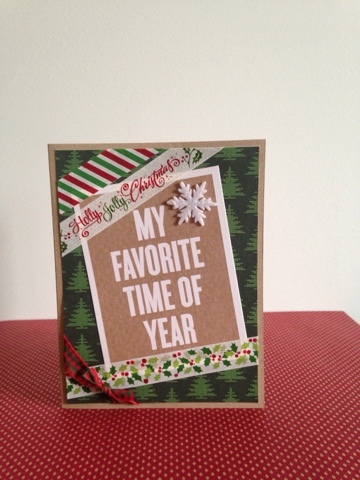 The background paper from a paper pack (AC Moore), and a Project life card;"My favorite Time of the Year" Pulls the card together. I embellished with a sparkly snowflake and a plaid corner bow. Finally getting back to creating! life sends all kind of curve balls and this one was pain related, but I'm 90% back on track and very thankful. I arranged my Pinterest board to have the card making challenges by day so I can find them faster. This was last Sunday's challenge at Sparkle Creations. 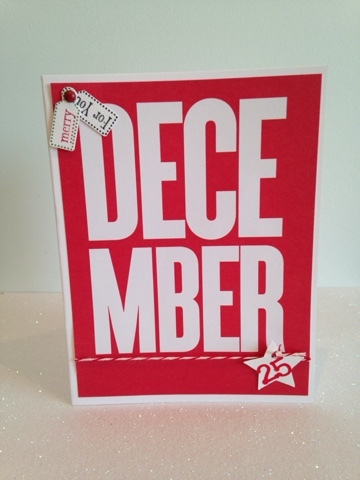 I used a Project Life card and instead of scrapbooking with it I turned it into a Christmas card. I added tiny tags from Stampin' Up and a star die cut with sticker numbers "25" stickers attached with red and white bakers twine.